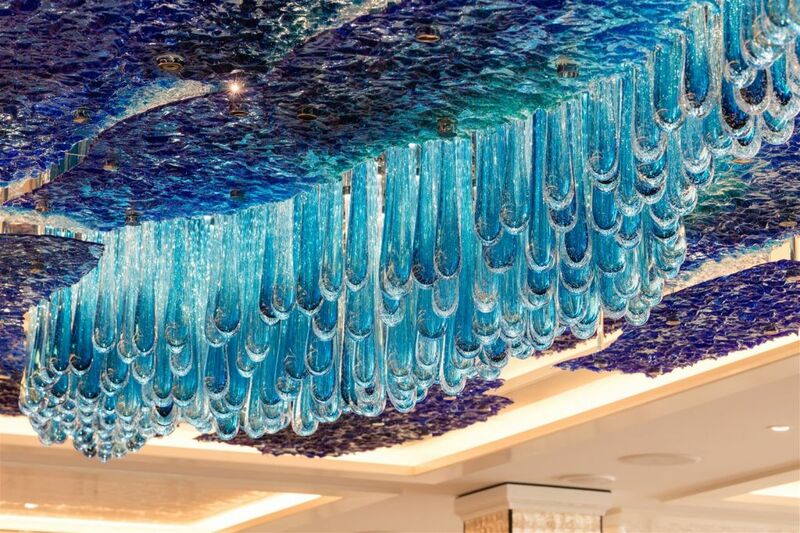 The Seven Seas Explorer® is the fourth – and the largest – of the company's fleet. 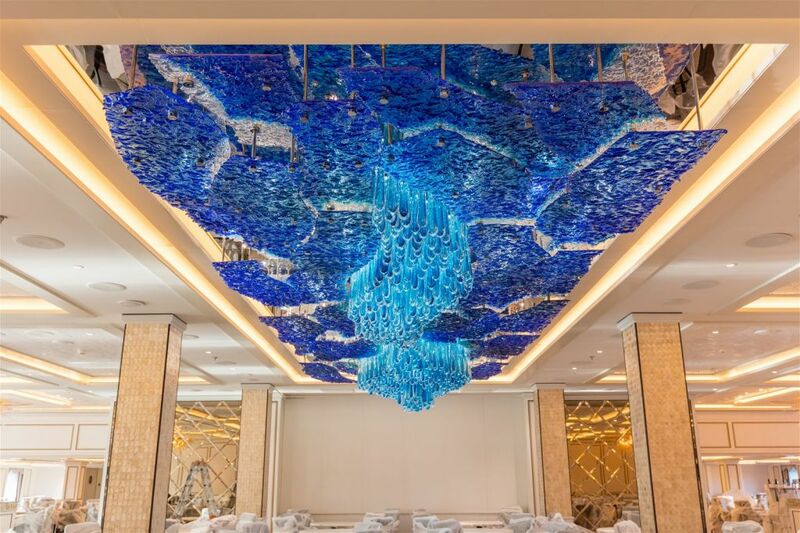 Its construction started in July 2014 in the Fincantieri shipyard in Genoa. 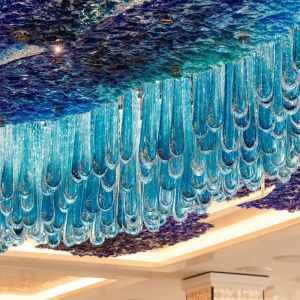 The ship was officially welcomed to the Regent Seven Seas Cruises´ fleet on July 13th, 2016 in Monaco and christened by Her Serene Highness The Princess of Monaco. 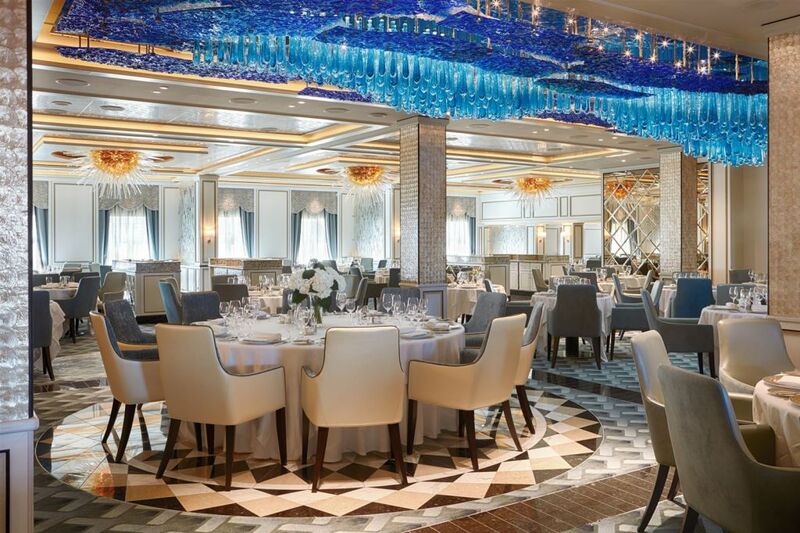 The Seven Seas Explorer® is spaciously intimate, breathlessly elegant and appears to be the world's most luxurious cruise ship. 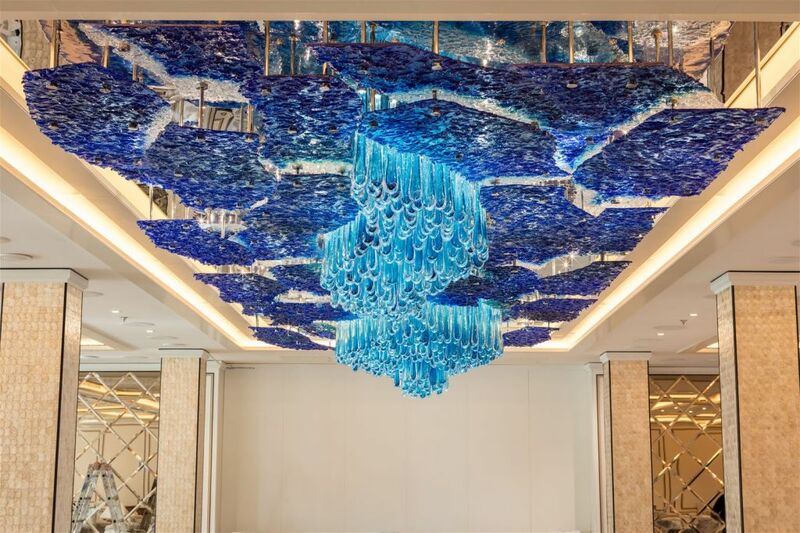 The overall length of the ship is 735 ft. (224 m) and the width is 102 ft. (31 m). 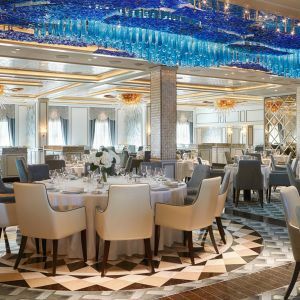 The ship weighs more than 55 tons, accommodates 750 guests and offers 10 guest decks. 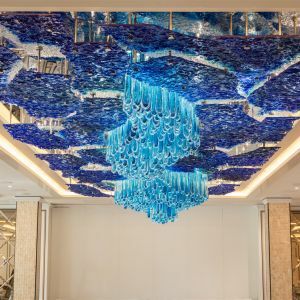 Preciosa is the proud producer of lighting solutions for the ship's main restaurant Compass Rose, the casino, atrium and boutiques on Deck 4, the library on Deck 11, master suites on Deck 8 and 9, and the Regent Suite on Deck 14. 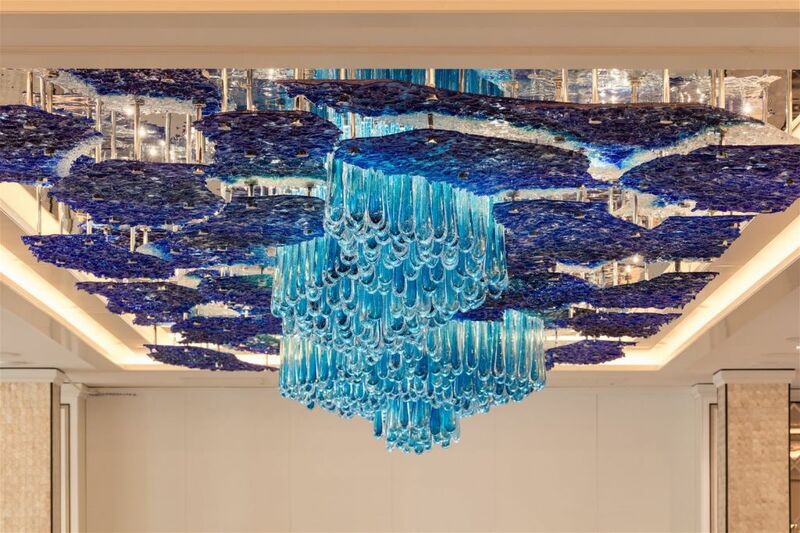 All the beautiful and breathtaking chandeliers were developed in collaboration with Tillberg Design based in Sweden. 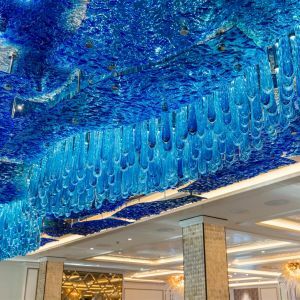 The sea became the design inspiration for the aquamarine lighting installation situated in the Compass Rose restaurant. 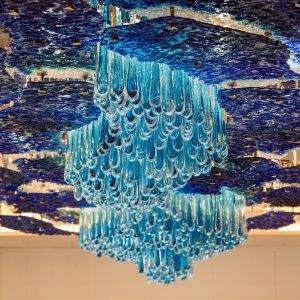 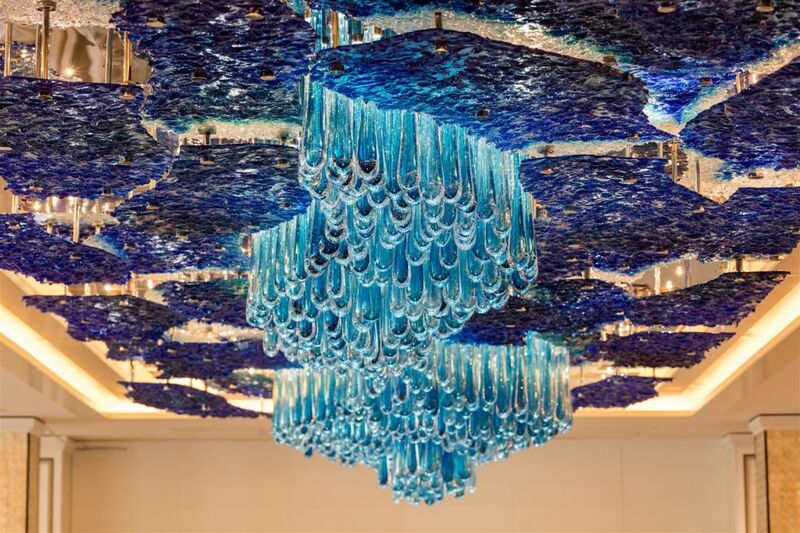 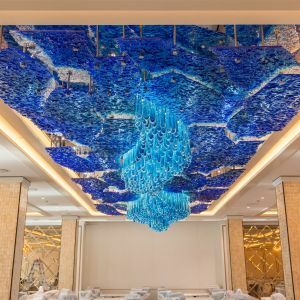 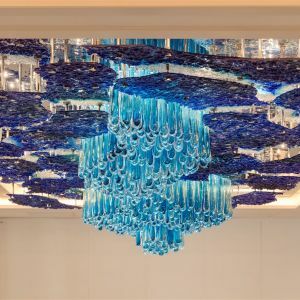 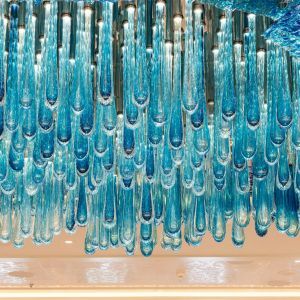 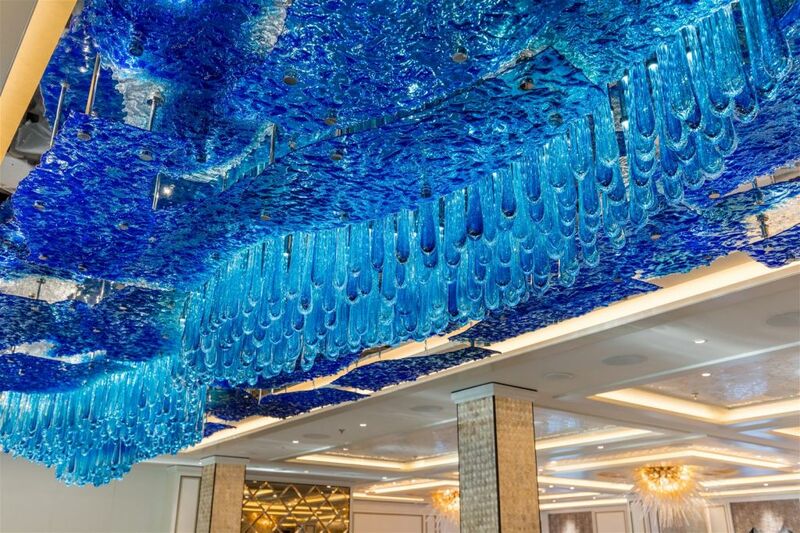 Bohemian hand blown crystal glass droplets in combination with fused glass with chips create a 9-meter long and a 3-meter wide wavy and organic object, that evokes the impression that you are observing the chandelier from beneath the water surface. 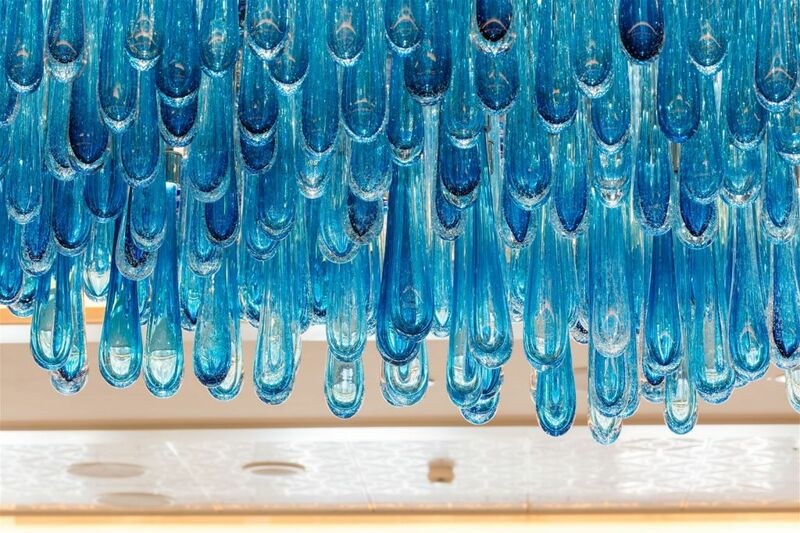 The Sea was design inspiration for the aquamarine lighting installation in Compass Rose. 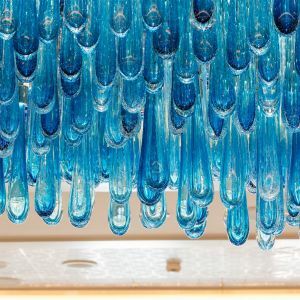 Bohemian hand blown crystal glass droplets in combination with fused glass with chips creates together wavy and organic object, that evokes impression like you are under water when looking at the chandelier from underneath. 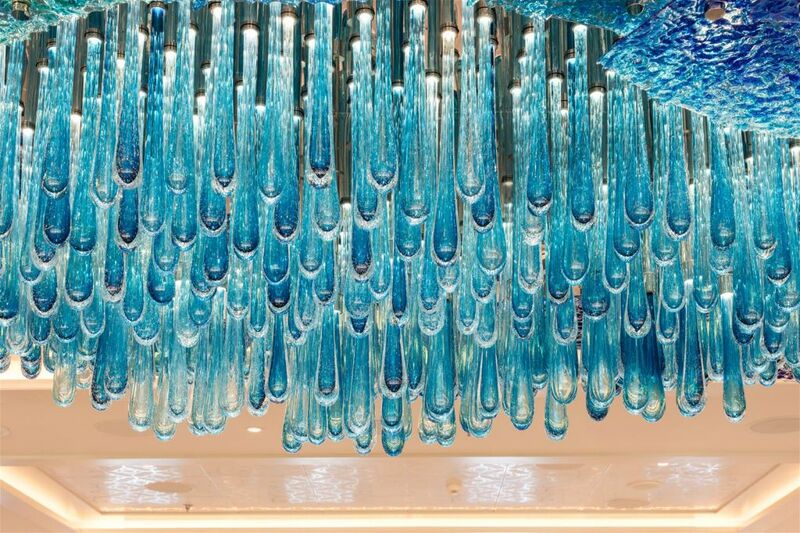 The lenght is more than 9 meters and in width almost 3 meters.